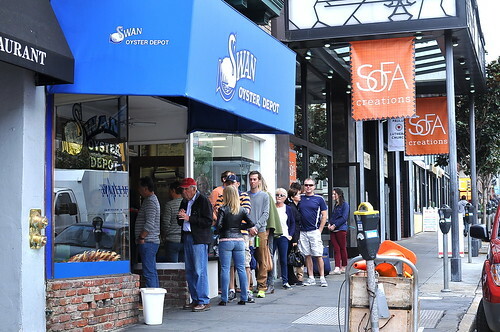 Swan Oyster Depot has been on my list of San Francisco must-eats for quite some time, but I always passed it over in favor of trendier spots. It’ll always be there, I rationalized—after all, it’s been around since 1912. 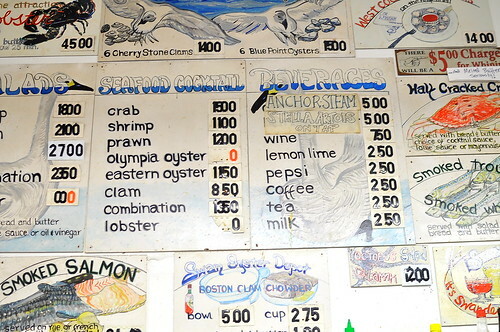 On my latest visit to the city, I craved fresh seafood and the kind of old fashion charm that can only be found at a century-old dining institution. So, off to the Depot The Astronomer and I finally went. We were greeted with a line snaking out the door upon arriving at the restaurant on a Monday afternoon. After a 40-minute wait spent snacking on a few choice doughnuts from Bob’s down the street, we settled into two stools along the 18-seat counter. 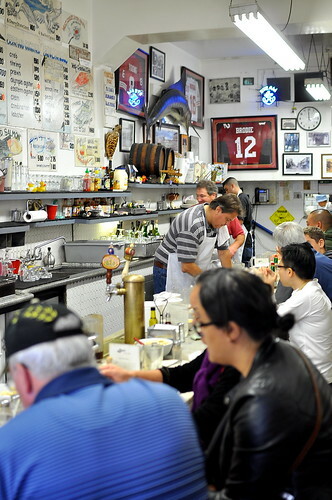 Owned by the Sancimino Family, Swan Oyster Depot serves up wonderfully fresh, barely fussed seafood. 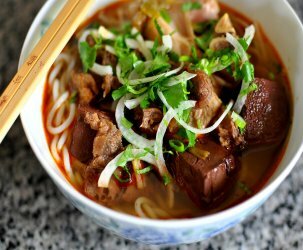 The quality of the catch really shines when the preparations are this minimal. The tools of the raw bar trade: teeny tiny fork, soup spoon, butter knife, and plenty of paper napkins. 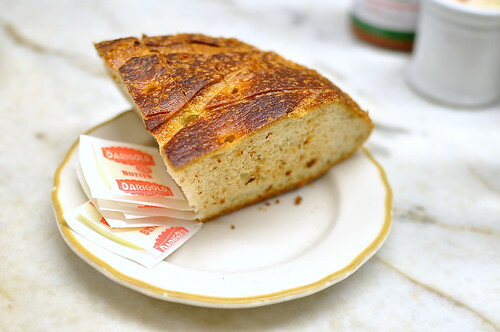 To whet our appetites: crusty sourdough from Boudin Bakery served with pats of softened butter. 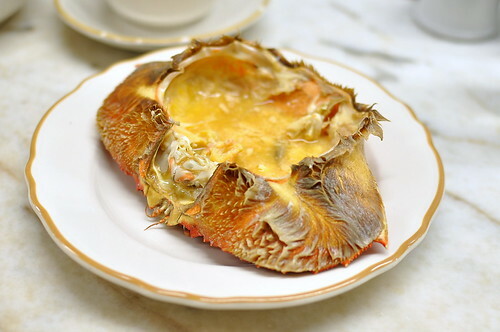 Though not complimentary, the bread and butter wholly complemented the seafood spread. Of all the fruits of the sea, I was most stoked to dig into the crab head—an oceanic rush of roe, guts, and glory. 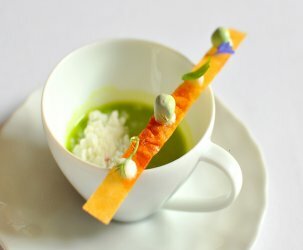 I spooned the roe directly down my gullet, while the juices were sopped up with bread…pure bliss. 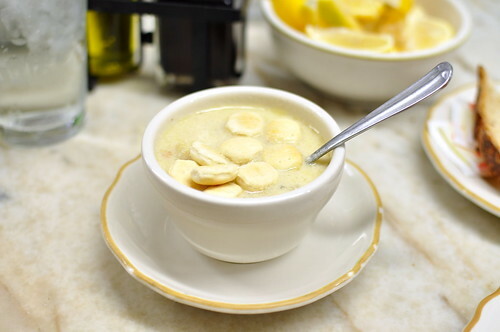 Also fantastic was the clam chowder, an expertly balanced broth spiked with plenty of clams, their juice, and diced potatoes. 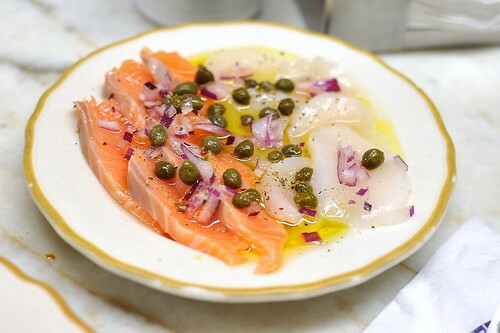 While the salmon and scallop crudo was absolutely pristine, the clumsily chopped onions and assertive capers detracted from the seafood’s delicate flavors. All was good once we pushed the accouterments aside. 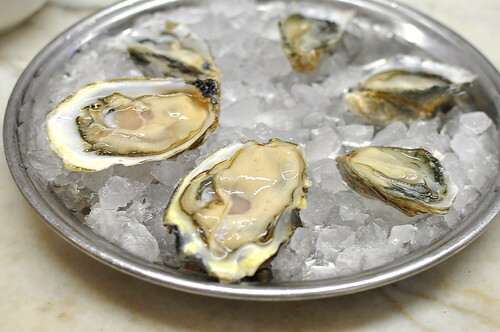 A half dozen oysters over ice were all but a given. 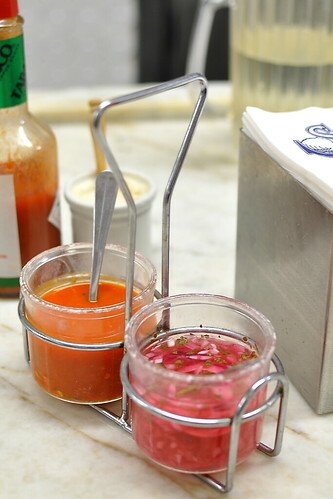 Though there were all sorts of exciting condiments on hand to dress the oysters, including house-made hot sauce and mignonette, they were perfect slurped straight up—cool, silky, briny, yum. 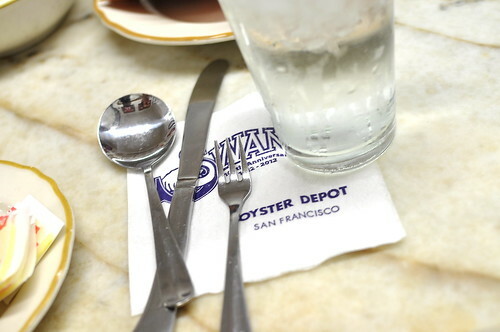 From the character of the space to the simplicity of the fare, Swan Oyster Depot met and exceeded my expectations. 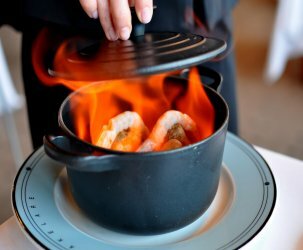 I departed the restaurant immensely satisfied (and stuffed).